This is The Replica Forge Terms of Service / Use. When dealing with us, these general terms are the rules bascially that you and us work under. The effective date of this policy is April 04, 2019 and you are encouraged to check back often to see if there are any changes to these terms that may effect your willingness to work with us. 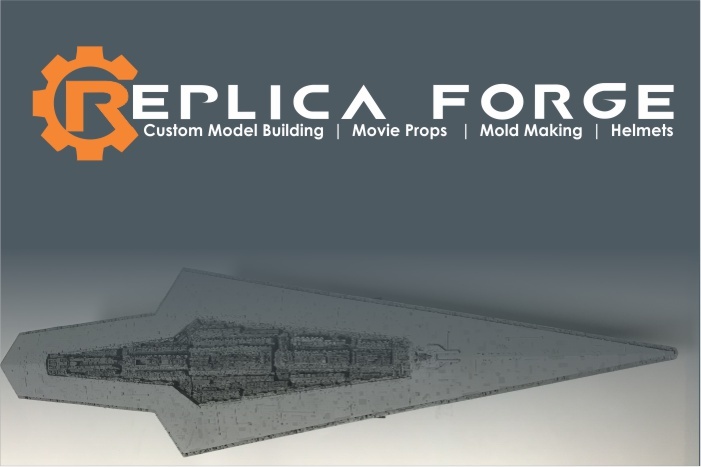 The Replica Forge, llc is a Michigan based Limited Liability Company. Our business office is located at 979 Wagner Drive, Battle Creek, MI 49017. Our full contact information is located on our Contact form. We commonly email clients and they email us, due to the time frames, and distances we sometimes operate under, email is used to gain approval of an image, project, progress thus far on a project or other need. You agree that emails shall be binding for purposes of approving things between us. Email when sent back and forth, shall be used when needed as legitimate approval of imagery, listed time frames, costs etc. Over the phone agreement and or verbl approvals will be followed up with email, and when an email is sent with an approval okay or other agreement or denial or non-approval. That email is binding between us. The exception to this, is if we agree to other form(s) of approval, or if your specific company has a specific system of approving projects. This we will determine before the project is started. When we start a project with you, we will give you a firm "completed by" date. This date will be the specific date we will have your project complete by or even before. This date will be based on existing project specifications. If any changes are made by you then we will notify you via email and verbally if the change(s) will effect the promised completion date. You are made aware and agree that if major changes are made, this could possibly effect the completion date. We of course also agree that we will do everything within our power to not push any completion dates back, as we know that this is an exciting time, and your project is highly anticipated by you, and we like keeping to our dates, even when changes are made. Project costs are based on the specifications and design(s) that we initially agree on. We will never increase a price or cost quoted to you and agreed upon, unless you request changes to be made. If changes are requested / made by you, you agree that there is the possibility the changes wanted / needed / requested, could effect the project cost. Most small changes will have little to no impact on end cost. However larger changes could impact the end cost. We will notift you verbally and also via email of any cost changes based on your requested changes. When we ship you have the option to purchase additional shipping insurance, and we suggest you do. 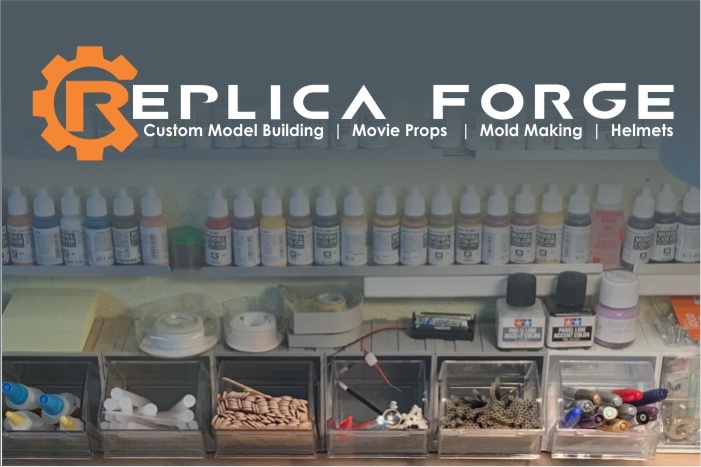 The Replica Forge is not responsible for damage to packages and its contents that we ship, nor any lost or stolen shipments. All packages are packed carefully, and use air bags and bubble wrap, and other secure means designed to protect our shipments. If for some reason you find a defect in any project we do, we will be happy to fix / replace the defective product at our cost. If a package is lost or stolen by the shipper or while in transit you agree to hold us harmless from liability of that event. We can arrange if you live within a specific area to us, or is the project is abnormally large to hand deliver it for an additional fee. If you desire this we will go over costs with you at that time, which will be based on your location and the projects size weight etc. We also can arrange for speciality or larger project to set up special reveals and premiers of our products if you so desire. You agree that due to the unique and special nature of the work we do, all payments made to us are final and non refundable. All payments made to us via PayPal, bank wire transfer, check or in any other form are in no way refundable. If you pay via PayPal you agree that you will not block payment to us once you have paid for any product or service, and if you do block, stop or reverse any payment to us, then these terms shall be an authorization to PayPal to reverse the stop payment and re-release the payment to us. All Payments will be listed as going to My Friend Spot, llc who is the parent company of The Replica Forge. You agree and understand that due to ownership trademarks you will not have us build anything that is protected under U.S. Trademark protection. You agree that when you hire us to do a project, that you have done your research and you have when required permission to have your project build by any respective Copyright or Trademark owners. When we mount labels and or placards on displays, sometimes we may be limited on the specific title and or language used due to Trademark ownership issues. We will notify you if this applies to any specific project we do for you.